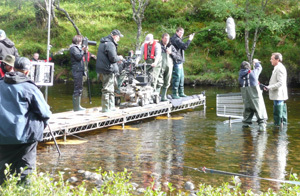 David is an established and highly regarded film and television Location Manager in Scotland. He works with local companies, such as Scottish Television, BBC Scotland and local independent producers as well as big budget feature films. Given David’s experience, he knows what works and what doesn’t, and will give advice to production companies on what will work best for a demanding schedule requiring high standards expected by the film industry today. David has built relationships with location owners because he knows how important reputation and integrity is in this job. There’s just no room for error. BBC Comedy pilot “How Do I Get Up There?